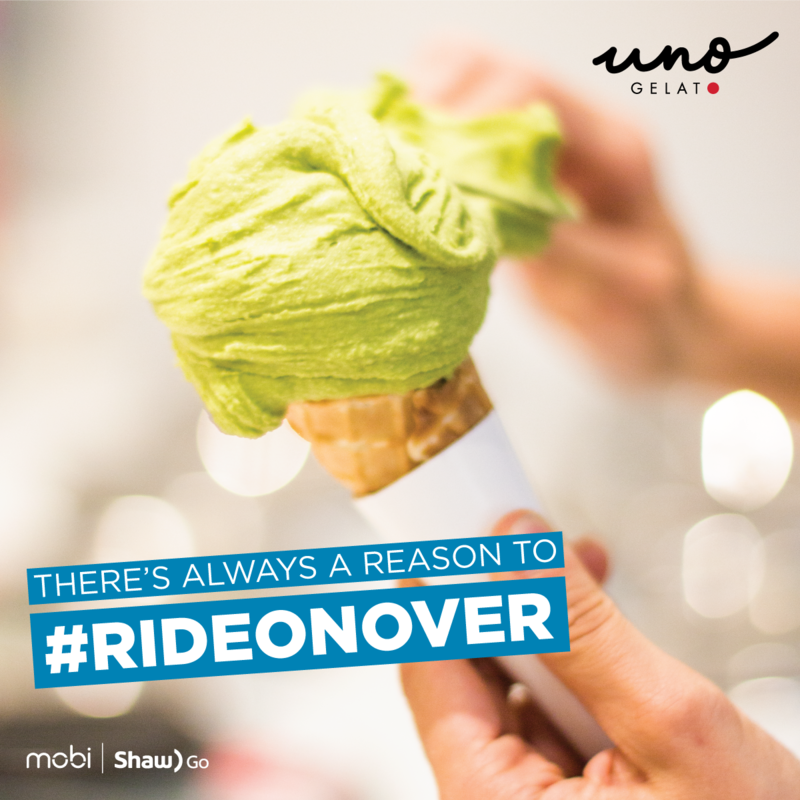 Uno Gelato will be offering all Mobi by Shaw Go Members a buy 1 – get – 1 free on gelato cones or cups. This offer is valid from August 15-31, 2018 at 2579 W Broadway or 601 Stamp's Landing with proof of Mobi by Shaw Go Membership (Fob or account information on the app or website). There is a place where Old World Artistry meets Urban Social—a place where old school tradition embraces contemporary culinary genius. Uno Gelato is a place where playful, unexpected epicurean adventures are consummated every day. Uno Gelato is a luxurious playground for the senses where all you need to bring (other than a BFF) is an unquenchable obsession to explore, celebrate...and return.